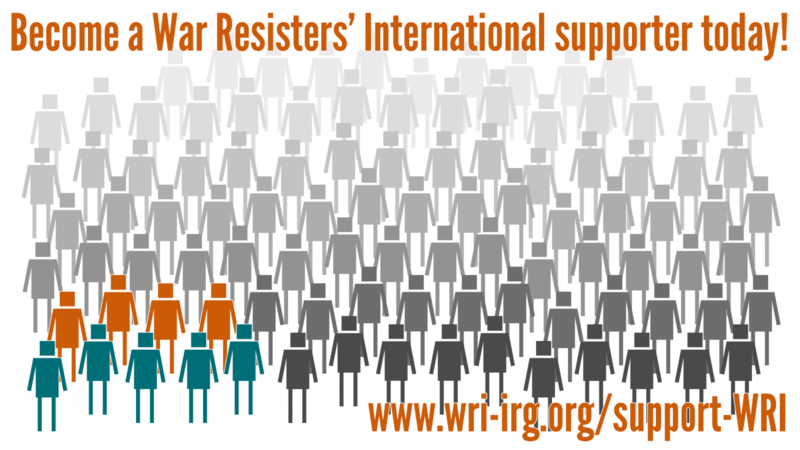 War Resisters’ International is a network of pacifist and antimilitarist organisations. We have over 90 affiliates in over 40 different different countries, and we work together for a world without war. Find a list of our affiliates here. Decisions about the work of the network are normally made using consensus decision-making. The International Assembly meets every 3-4 years, and this meeting is open to any member of any of our affiliates. The International Assembly makes decisions on our constitution, elects individual Council members, chooses an Executive Committee, and decides on the broad direction of the organisation for the coming years. The Council is made up of a representatives of member organisations, plus twelve additional, individually elected members. The Council meets once a year, normally in person but occasionally online. The Executive Committee is a smaller body of 5-6 people and is given responsibility for making decisions about WRI in between Council meetings. The Executive Committee is chosen from - and reports to - the Council. WRI also has a small office and staff team, based in London. Our staff do much of the administrative work of the organisation, and work on various programmes of work and campaigns. You can find bios for our staff, executive committee members, and individually elected council members on the ‘structure’ page. There are two different ways an organisation can be a member of WRI - as a ‘section’ or as an ‘associate’. A section is an organisation willing to sign WRI’s declaration, that “War is a crime against humanity. I am therefore determined not to support any kind of war and to strive for the removal of all causes of war.” An associate is an organisation whose goals are consistent with the declaration, but for some reason aren't able to sign. See our list of current affiliates here. We love it when organisations decide they want to affiliate to War Resisters’ International! Organisations need to fill out an application form, and a decision is made at the next annual meeting of the WRI Council. Contact us for more information on becoming an affiliate.